Scissors, tweezers, paste, tape, that's it. I do have many, many varieties of each of these, but I need nothing else to do my work. SCISSORS: small, large, curved, straight, pinking shears, and plenty of variations on that theme, too, wiggly, scalloped, ad infinitum, all sharp. TWEEZERS: short, long, pointy, curved, the doctor type, the dentist type, the stamp collector type, and yes, the eyebrow remover type, but I buy them new and I'm the only one who uses them. They also are all sharp. PASTE: I try every kind of paste and glue that I ever find, but my favorite and the very best is the Japanese household variety called nori (which means noodles and also seaweed in Japanese). It's made of rice and water. It's non-toxic, washable, archivally sound, and best of all, even weeks after pasting something down it is possible to rehydrate the papers with a warm, wet cloth. 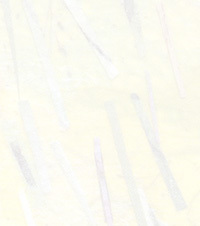 After the papers are saturated I can remove them safely, layer by layer, with my sharpest, pointiest tweezers. This permits editing. Nori is available in most convenience stores in Japan, and in some Japanese groceries in New York. 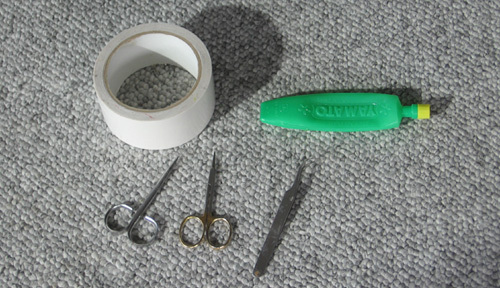 DOUBLE-SIDED REPOSITIONAL TAPE: I used to depend upon one kind of tape that I had to order from England. It was outrageously expensive, but worth every pound. Since it became unavailable, I have used rug tape and other variations, but none of them is as good as the one I used to have. I still miss it.